The School District of Philadelphia, Summer, 2011, " How not to educate our kids"
During the summer of 2011 controversy erupted in the Press concerning Philadelphia School District Superintendent Ackerman, and School Reform Commission Chairman Robert Archie. In the end both individuals were forced from their positions. The story is "textbook" in demonstrating one reason why our schools are in disarray, and our prisons and jails are full. Click on the link below to read the detailed story we got just a glimpse of in the Press. The City of Philadelphia's Chief Integrity Officer and her Report should be heralded. Although her colleagues responsible for the School District in the Nutter Administration, should be held accountable for being asleep at the wheel. Pictured above, Arlen Akerman (L) and Robert Archie. “GOV. CHRIS CHRISTIE said that New Jersey's 15-year-old drug-court program will be expanded as part of a plan to ease inmates' transitions back into society and to get help for addicts who are involved in many crimes. The move came with an admission from the Republican governor. The so-called "War on Drugs," which brought harsh penalties to drug offenders, hasn't worked, he said. "We're missing the best in terms of how we can help these folks turn their lives around," he said. "We think that somehow we send a person who is drug-addicted to prison, they're going to lose their drug addiction." Speaking at Cathedral Kitchen, a Camden institution that operates both a soup kitchen for the needy and a culinary-training school for former offenders, Christie said that the expanded measures could save taxpayers money by sending fewer offenders to prison, cutting down on future crimes and creating better citizens. He signed an executive order outlining the changes later yesterday. The drug courts, which have been running in New Jersey since 1996, give some nonviolent offenders an option to be in drug-treatment and testing programs - often instead of jail sentences. Convicts in drug court still have criminal records. The major change, which Christie wants to try initially in two counties, would allow judges to sentence offenders to treatment programs instead of prison. 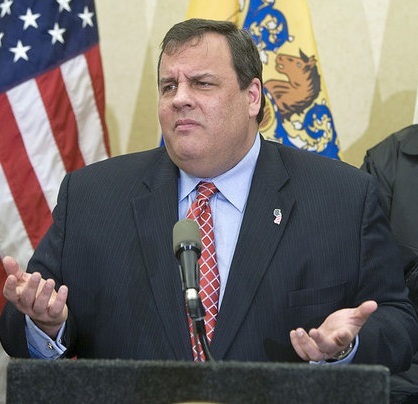 Christie spokesman Kevin Roberts said that that would get addicts who are in denial the help that they may need. Currently, those charged with crimes have to ask to have their cases handled in drug court to be enrolled. During the 2008 budget process in the City of Philadelphia, the Nutter Administration made cuts to the Philadelphia Fire Department's budget, including the closure of fire stations and instituted a procedure called roiling brownouts. The Admintration maintined that these changes where not a threat to public safety. The cuts were made based on what the Administration said was its own study of Fire Department operations. The Fire Fighter's Union, as well as, City Council requested that the Administration release this report or study, and the request was denied. The Fire Fighters maintained that the cuts were a dangerous threat to public safety. Thereafter PICA instituted an independent study. Take a look and see what this report found the situation to be.